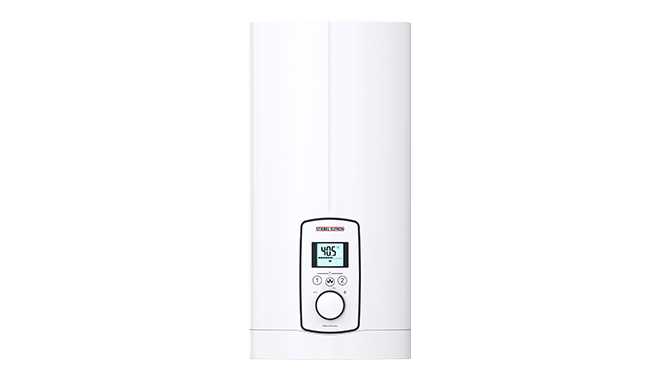 No other instantaneous water heater with 3i technology has such a wide range of features as the DEL Plus. With backlit multifunction display, temperature memory, childproofing and ECO mode, it offers best-in-class comfort and convenience. The energy and water saving ECO mode can be used to limit the maximum flow rate of the DEL Plus to enable a constant DHW temperature, even where inlet temperatures are low. 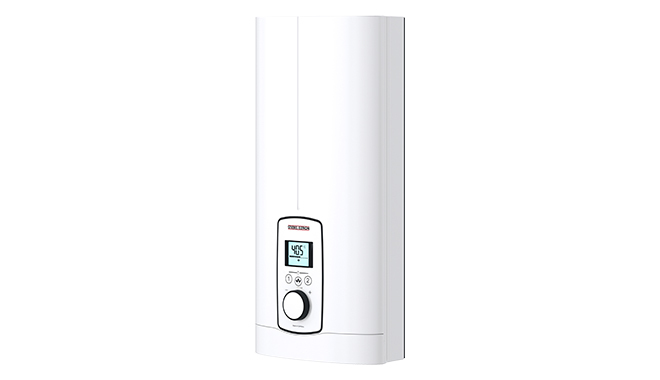 The DEL Plus is suitable for supplying hot water to several draw-off points (single and group supply), e.g. simultaneous supply to bathroom and kitchen. Sealed unvented, pressure-tested appliance for use with all commercially available pressure taps. The DEL Plus water heater requires no safe tray, flue or ventilation. Electronically controlled instantaneous water heater with 3i technology. 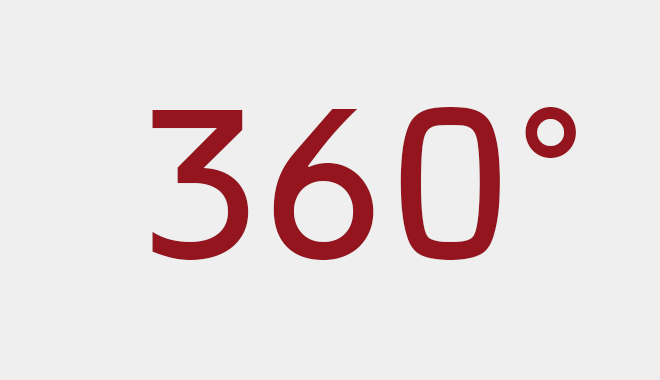 Accurate temperature delivery up to the maximum output. 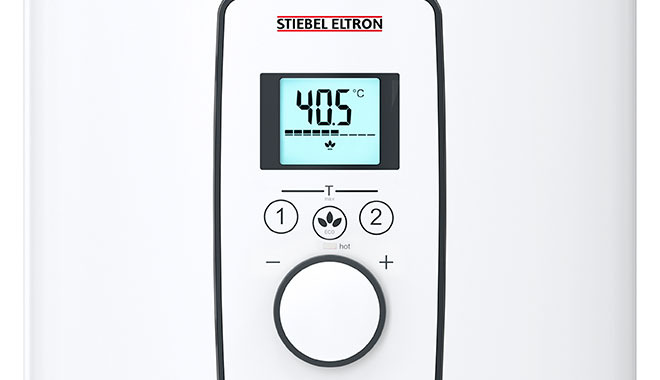 Temperature selection from 30 to 50°C via rotary selector, temperature adjustment for showers in 0.5 °C increments. Backlit multifunction display to show set temperature, current power consumption, status and service indication. Selectable ECO mode. Memory function for 2 programmable temperatures of choice. LED scalding risk indicator at temperatures above 43°C or when outlet temperatures are unexpectedly high due to preheated water. Individually adjustable temperature limit (childproofing). Pivoting appliance cover and programming unit for increased operating convenience in undersink installations. Saves up to 30% energy and water by means of electronic output control with 3i technology. 3 sensors ensure that the selected temperature is accurately achieved. For this, only the actual required amount of energy is expended; there is no need to add cold water at the tap. This ensures maximum energy efficiency. ECO mode can be individually selected for particularly economical operation. Suitable for preheated water (e.g. in solar thermal and heat pump systems). Rapid bare wire heating system, suitable for hard and soft water. Electronic safety concept with air bubble detection. Anti-scalding protection adjustable only by qualified contractors, for permanent limiting of the water outlet temperature to max. 43°C.